We end it here on day 12 with this fixture between father and son, Spain, the original colonial fathers of Morocco, although the Ceuta was later ceded to France, we will get to geography later but for now, we are about the final group game of the day, though simultaneous with the Iran and Portugal game. Games at these points get to be played simultaneously to avoid any form of compromise. 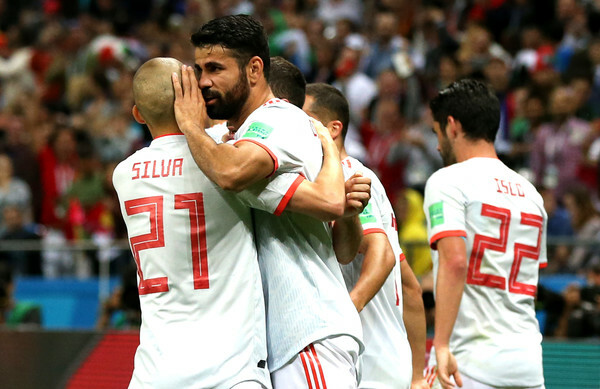 Spain are yet to hit full gear, they have scored four times but have conceded three goals and it could have been four had VAR not chalked one off against Iran who stretched them mercilessly. The Spanish golden generation is aging, Pique seems past his best, the trio of Andreas Iniesta, David Silva, and Sergio Bousquet need replacements. Morocco has absolutely nothing to play for so this would be academic but should Spain lose here by more than one goal and Iran beat Portugal by just a lone goal, Spain are out, won’t be for the first time as they shockingly didn’t make it past the group stage in Rio four years ago. Morocco would enjoy the game without pressure here, would they prefer to play Russia or Uruguay? They should seal qualification first.